Alive and Young: A Swift Kick In The Ash: What Do Those Ash Wednesday Ashes Mean? A Swift Kick In The Ash: What Do Those Ash Wednesday Ashes Mean? Personally, I’m kind of tired of the same boring Ash Wednesday articles that nearly every catholic periodical publishes every year. You know, the passively written ones that don’t really give you any information that one does not already know usually written by a well-intentioned deacon. To look at scripture it appears that the use of ashes in a variety of ways was already well established at the penning of the texts that mention the use of ashes. That is, the reader or hearer of the text already knows what is meant by the different uses and mentions of ashes. The use of ashes can be found outside the Judeao-Christian faiths. Homor mentions Odysseus sitting in ashes in the Illiad. Also, the ancient Persians had a custom of punishment where the condemned was stifled and executed in a pile of ashes until the condemned was dead. However, the origin of the different meanings of the use of ashes seems to be lost in history. Luckily, how something is used often helps in discovering the meaning(s) of what is being used. In this case Ashes. The use of ashes in scripture are many. Here are a few uses. It is best to read the context for the full meaning of the quote. 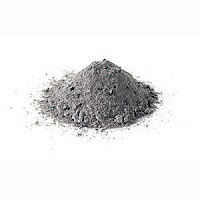 Job 42: -- “therefore I despise myself, and repent in dust and ashes." Remember scripture as well as sacraments and sacramentals have a multilayered meaning. That is to say, scripture, sacraments, and sacramentals have multiple simultaneous meanings. So it is very likely that the ashes for ashes from Ash Wednesday contain all the aboving meanings and expressions: though only one might be emphasized. Other things the Jews used ashes for that we never hear about but I am certain have some kind of theological implication are listed below. Sadly, I don’t have the time to figure out what the theological implications are at the moments as I am writing this post very quickly. The Altar of the burnt offering was never to be completely cleaned of all the ashes. Some of the ashes were meant to remain. (probably as some kind of sign for something). Ashes from the incense were used to clean the candlestick (I’m assuimg this means the menorah.) (Mishna, Talmid3:9; 5:1; 1:4). After the destruction of the temple and Jerusalem, the bride and bridegroom had ashes sprinkled upon them as a sign of mourning for the loss of Jerusalem and the temple during the height of their happiness. In memory of the loss of Jerusalem and the Temple the Jews also ate bread sprinkled with Ashes at the last meal before the fast-day of the Ninth of Ab (Yer. Ta'an. iv. 69c; Lam. R. to iii. 16; ShulḦan 'Aruk, OraḦ Ḥayyim, 552, 6 gloss). This one is especially interesting as scripture mentions in a number of places the consuming of ashes as food as to imply that they are eating the bread of humiliation and drink of affliction.